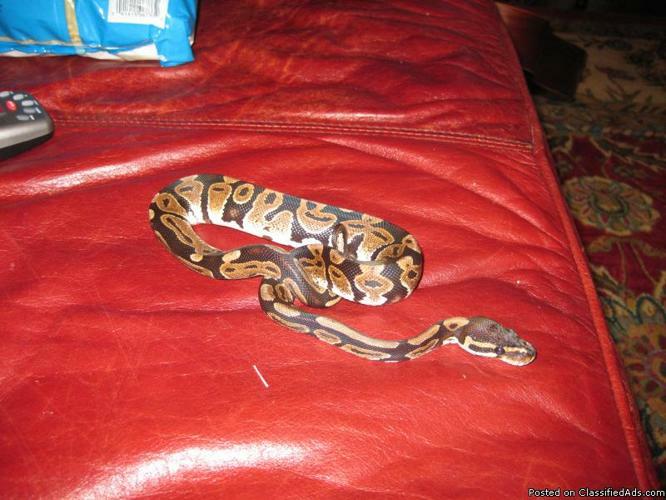 Ball Python is 2-2.5 ft long. Comes with tank, heat lamp, extra bedding, under tank heater, thermometer, climbing stick, hiding log, and water bowl. Call if you are interested...678-907-.